Many car manufacturers in the country have already announced a hike in the prices of their model range in India. This includes Skoda, Toyota, Mahindra and also Tata Motors. And now joining the bandwagon is India's largest car manufacturer, Maruti Suzuki. The company has just now announced a price rise across models, that ranges from Rs 1,700 to Rs 17,000, ex-Delhi. The company states the price rise has been done owing to increase in commodity and other administrative and distribution costs. 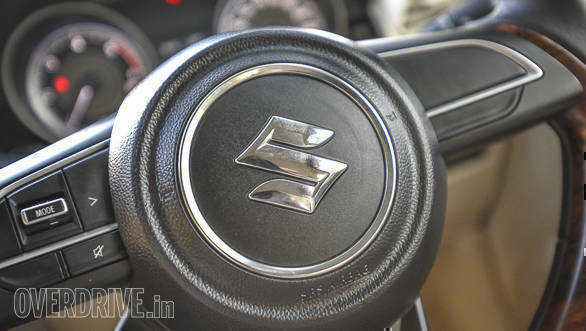 The increased prices of Maruti Suzuki cars will come into effect from today itself. The updated prices of the entire range at different cities in India should be available in the coming days on the official website. Maruti Suzuki has been betting it big on the 2018 Auto Expo. The main highlight of the company's pavilion will be the new Maruti Suzuki Swift. One of the most anticipated car launches in the country. The new design language, premium features and the more efficient powertrains are believed to make the new-gen Maruti Suzuki Swift a market leader again, that will compete with the likes of the Ford Figo, Tata Tiago and also the Hyundai Grand i10. Maruti Suzuki dealerships across the country have already started accepting bookings for the new-gen Swift for a token amount of Rs 11,000. Additionally, the company is also expected to showcase the Ciaz facelift and also the new-gen Ertiga in India.